Western Railway introduced a special heritage train between Patalpani and Kalakund stations from Patalpani on Tuesday, 25th December, 2018 which recently has been declared a Heritage Section by Indian Railways. This picturesque and scenic section comes under Ratlam Division of Western Railway. Ashwani Lohani, Chairman, Railway Board had directed concerned railway officials to develop Patalpani -Kalakund metre gauge section as heritage section and to run heritage special train on this section during his last inspection in the month of September, 2018. Ratlam division has done this work at the earliest and got success to run a special heritage train on this section on 25th December, 2018. 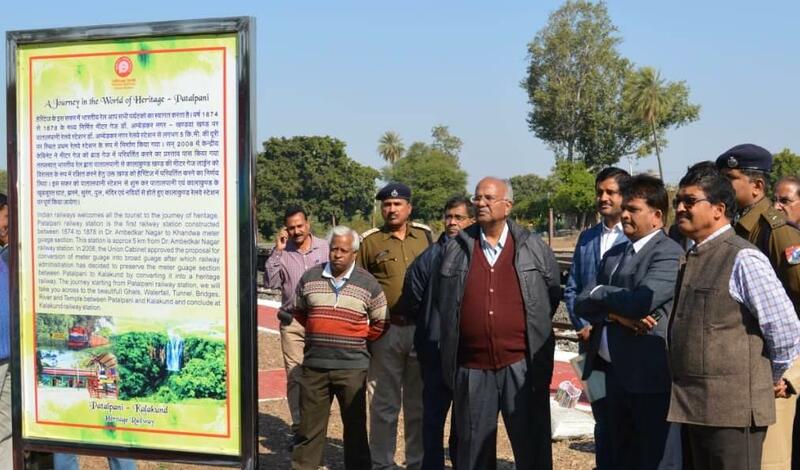 Western Railway General Manager A.K.Gupta inspected this prestigious heritage train project on 24th December, 2018 and discussed various aspects in this regard with DRM and other senior officers. It is worth to mention that more than 25 workers of WR’s Carriage and Wagon workshop of Lower Parel actively contributed in the refurbishing process of this special heritage train coaches at the cost of approximately Rs. 40 lakh. The refurbishment was done at Bikaner Carriage and Repair Workshop. According to a press release issued by WR CPRO Ravinder Bhakar, this heritage train will depart from Dr Ambedkar Nagar station at 11.05 hrs and will arrive Kalakund at 13.25 hrs. Similarly, in return direction this heritage train will depart from Kalakund at 14.55 hrs and will arrive Dr Ambedkar Nagar at 15.40 hrs. The heritage train will have 2 coaches, one reserved coach & one unreserved coach. The fare of 12 seats of first 3 rows of the reserved coach for the journey from Dr Aambedkar Nagar to Kalakund and return will be Rs 240/- per person and it will be Rs 200/- per person for the rest of the rows of coaches. The fare for the same journey in unreserved coach will be Rs 20 per passenger. On the opening of Patalpani- kalakund heritage section various tourists as well as Rail and heritage enthusiasts were seen taking selfies and Pictures with beautifully adorned/decorated station, coaches/ diesel loco matching with beautiful natural surroundings. WR has refurbished 3 coaches for the Heritage train. These aesthetically designed coaches will definitely add glitter to the beautiful sites outside. This meter gauge line was constructed about 150 years ago. 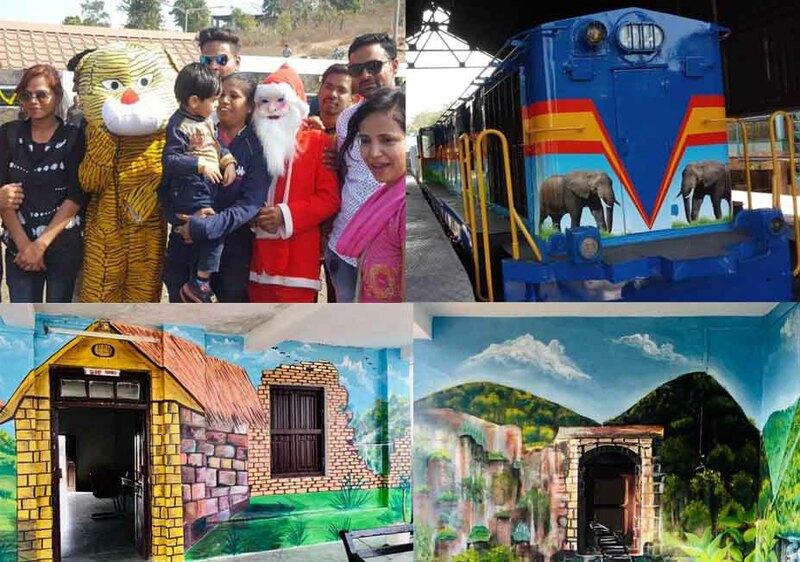 The stations, rest houses and other service buildings on this section are being decorated/adorned alongwith the development of about 2 dozen tourist spots on WR’s first heritage section in Ratlam Division between Patalpani and Kalakund stations to attract & facilitate tourists around the globe. Tukoji Rao Holkar II initiated proposal for rail connection from Indore to Khandwa. 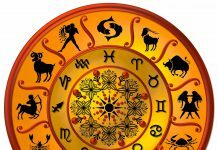 The correspondence with British Government took six years who finally agreed to lay the line after the Britishers were provided a loan of Rs. 1 crores with an interest of 4.5%. The work commenced in 1870 and was completed in 1878. Mhow-Khandwa MG line was a part of North-South MG link between Jaipur & Secundrabad. In 2008, the Union Cabinet approved the gauge conversion (MG to BG) for the Ratlam – Dr. Ambedkar Nagar (DADN erst while MHOW) – Khandwa railway line. The Gauge Conversion between Ratlam – Dr. Ambedkar Nagar has been completed. Work between Sanawad – Khandwa is nearing completion. 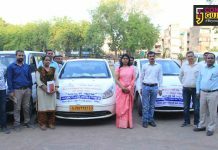 Dr. Ambedkar Nagar – Sanawad is being taken up. Patalpani – Kalakund block section is part of Dr. Ambedkar Nagar -Sanawad section. The level difference between Patalpani & Kalakund stations over a track length of 9.5 km is 172 mts. The section has 4 tunnels (total length approx 0.5 kms) and 24 sharp curves (maximum degree of curvature is 10.2 ). The total curve length is 6.5 kms. The average gradient is at 1 in 55 (steepest gradient being 1 in 40 in a continuous stretch of 5 kms). There are 4 compulsory operational halts for train to stop dead (to ensure control over the train). Special Features of Heritage Section. Natural Scenic Beauty – Water falls, Choral Valley etc. Railway Heritage Bridge and Valley view point. Patalpani railway station is the first railway station constructed between 1874- 1878 in Dr Ambedkar Nagar to Khandwa metre gauge section. This station is approx 5 kms from Dr Ambedkar Nagar Station. In 2008, Union Cabinet approved the proposal of converting this meter gauge section into broad gauge section after which railway administration has decided to preserve the metre gauge section between Patalpani to Kalakund by converting it into a heritage railway section and by this excellent step, Western Rly has added one more unique achievement in its credit.